Last night I decided to use some of the flannel I bought recently and made Hazel some pants. I have started a top to match, but haven't finished it yet. The top is mostly the solid red. 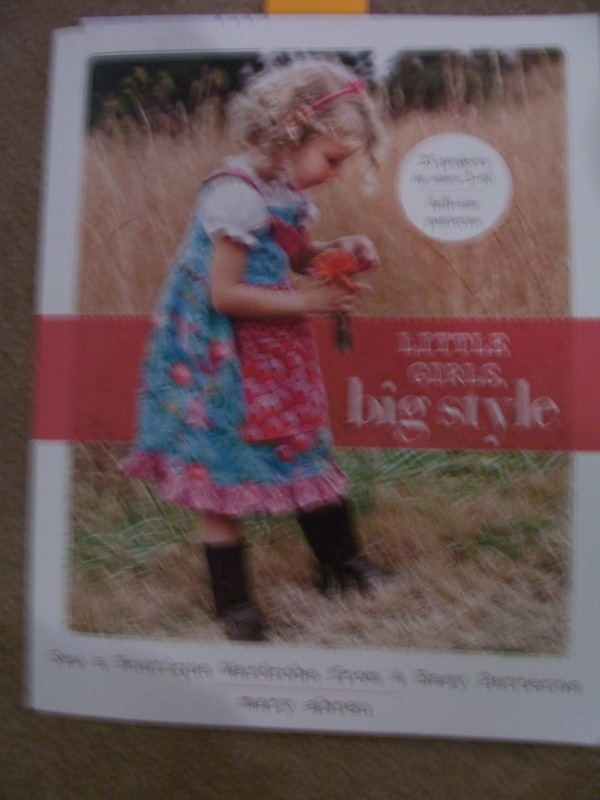 I used the pattern and instructions in Little Girls, Big Style by Mary Abreu. 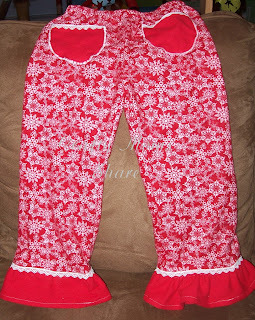 I added the pockets and the lace. Ok, my only downfall with these pants. Hazel wore them to school today and we had snow flurries and rain showers all day. The flannel absorbed the water (I didn't realize it was suppose to start so early so I did not have her wear her rain or snow pants), and the ruffle made them a bit too long and got covered in mud. Luckily they washed out. Oh, well. 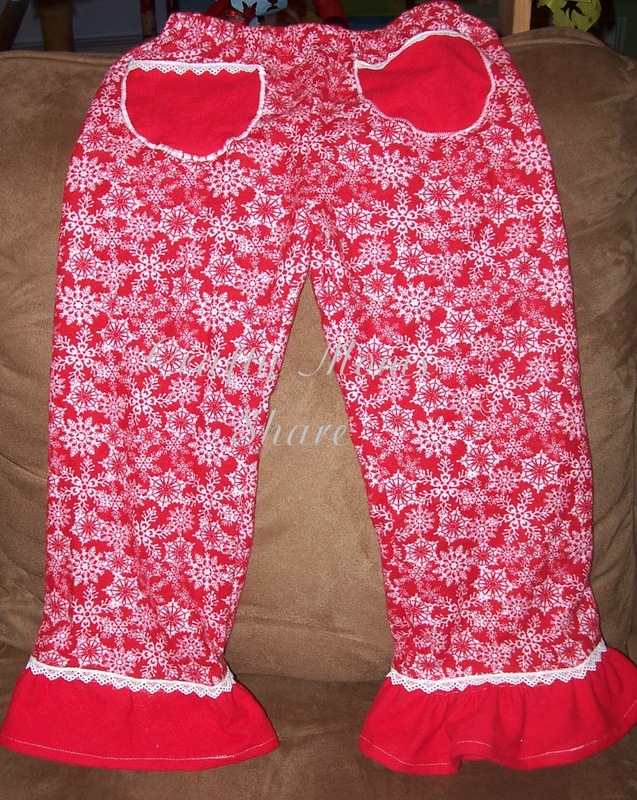 The next pair will be shorter and maybe tighter on the legs. These are so cute, i love that print! These are very cute! Thanks for sharing. SO cute, I love the flared ruffles! Thanks for sharing on Super Sweet Saturday.